In today’s highly competitive market, you always have to make smart moves in order to put yourself ahead of your opponents. If you’re not allowing settling yourself to be on the second best, then you need to have the right support beside you. On this exact point, free Bootstrap 4 UI kits are ready to accompany you to tweak your position to the apex. As you know UI kits are the ready-to-deploy tools which bring a plethora of pre-built components to alleviate torments of the users. Even pro developers and designers can use them in order to save both their time and effort. And, these elements can be put in various ways to design from a single web page to a complete website. We’ve compiled this round-up for free Bootstrap 4 UI kit to make things easier for you. So that you have to roam nowhere else, this post shows a great collection which is as perfect as your need. Let me tell you two important characteristics of these set of tools. From the popular theme makers of the internet, we garnered these items and we ensure you about the unique layouts of each one. You will find variations in design, functionality, and number of elements. Some of them even comprise free landing pages as a demo purpose. You can experiment with them to see how things act in the different set of combinations. Take modern day challenge and win at every single aspect while ample of supports are available. Without much ado, let’s jump into deep to know more about the free Bootstrap 4 UI kits. 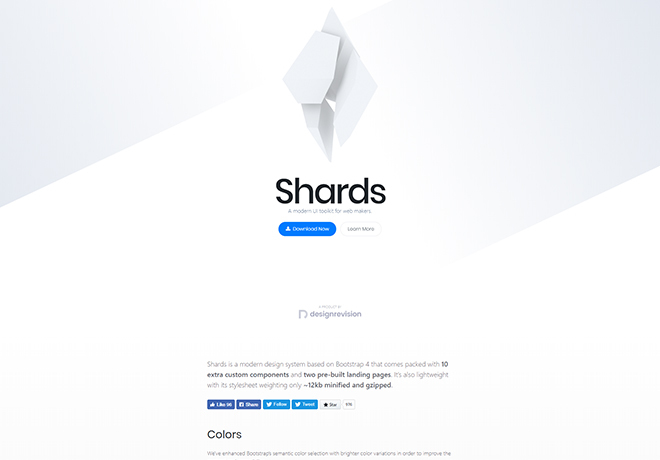 With many significant features, Shards proves to be one of the best Bootstrap 4 UI kits. It features an extended Bootstrap functionality that brings ready web elements for a better experience. Moreover, within this kit, you will get Font Awesome and Material icons, custom sliders, datepickers, and much more. On the other hand, it’s available in different formats such as Sketch and Scss. Additionally, there are variations in alerts, navbar color, buttons, and form controls. As mentioned in the first place it’s a free Bootstrap 4 UI kit and yet, it offers powerful options similar to the premium products. If you wish to craft a dynamic website with a pleasant UI, Shards got your back. As long as you’re in quest for an easy-to-handle gear that is also full of surprises, Shards will become the right fit for it. It shows the sign of authority and holding power to take the challenges coming your way. A website has several mandatory parts and Shards lets you play with its ready sections. For instance, there are UI for the team, header, pricing plan, and more to take them to use. One can also consider the CSS animation as an added beauty. 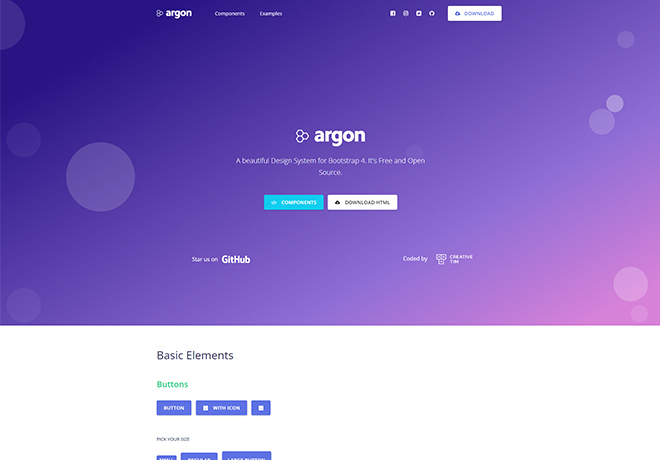 Such a delightful and aesthetic design system – Argon can be your best choice. 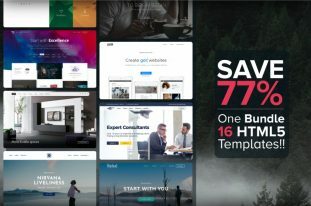 The powerful tool amid free Bootstrap 4 UI kits with tons of brilliant features and responsive structure. This open-source design system sports a plethora of unbeatable features and many ready components to ameliorate your design. Making a new business website or developing a modern web app – Argon fits in every place. Over 100 elements, SASS files, and functional code make this free Bootstrap UI kit a seamless one. From a single page to a large-scale web project, accomplish in just minutes with the life-like components that Argon offers. Apart from that, a complex documentation will aid you to understand the system and how to trigger it into your projects. Surprisingly, there are sample pages made with Argon to show the demo as deja vu for the future users. In other words, clean and colorful components and optimized coding ensured this template to act smoothly. Use with your free will since the template is open source. Welcome to Charcoal! 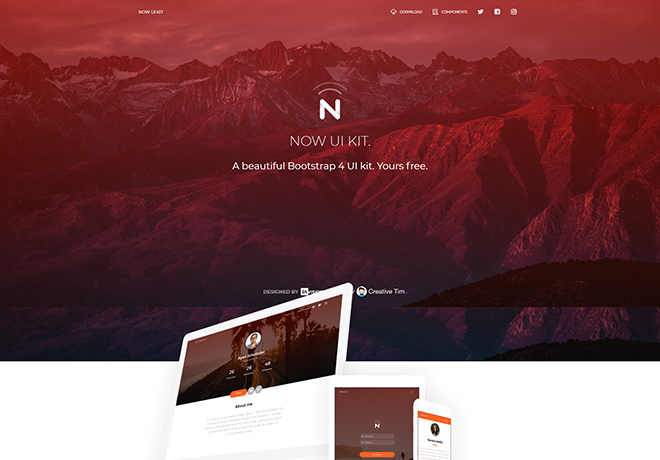 It’s a robust UI components pack to reduce your effort towards building a new website. Likewise, the pack contains a wonderful set of components for bootstrapping a project such as a website or application. Moreover, Charcoal shines with its power to run independently so that no complication you have to face when you choose it for your projects. Straight away, it includes multiple types of buttons, forms, dropdowns, navigation styles, tables, and paginations. And, a couple of SASS files are there, as well, to ensure a well-rounded customization. Interestingly, it’s compatible with cross-platform support. Charcoal, however, gives the required space to prototype a modern website in minutes while saving your coding time. 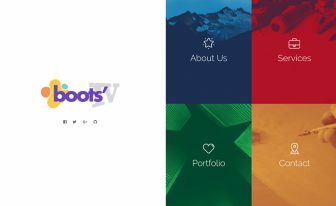 If you download this amazing free Bootstrap UI kit, the sedulously built components will give you more space to add innovative styles. Marketers know that the conversion rate depends on the interface as well as the user experience. Charcoal’s developers kept that in mind while they created this amazing design system. If you want to save your valuable time, pick Charcoal right away. Although it doesn’t charge anything, you don’t need to worry about the quality because that’s the power of it to mesmerize the users. Due to the under-the-hood capabilities and eye-pleasing UI, Now UI Kit becomes one of the most popular UI Kits. It will help you build a fresh, clean, and flat style website that’s perfect for multiple platforms. Having said that, the system applied 12 column grid system along with the responsive elements. Furthermore, adroitly chosen colors, nice and smooth typography, and ample arrangments simply make people to accomplish more. Redesigning the elements from Bootstrap 4, it supports any existing Bootstrap project. 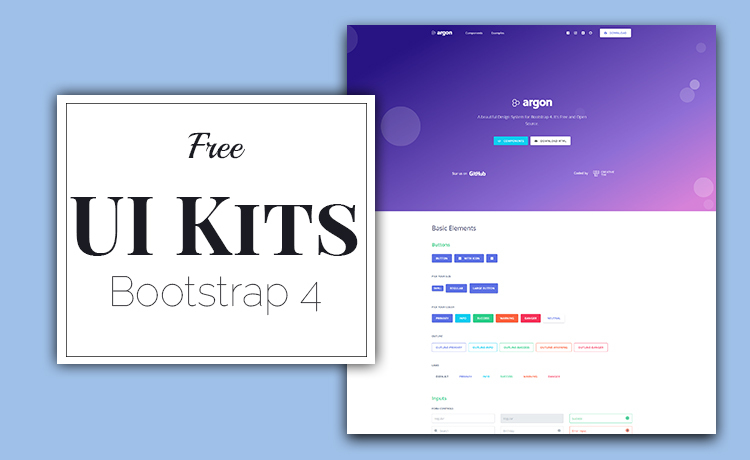 As the post is about free Bootstrap 4 UI kits, get Wired UI Kit now and enjoy the unlimited freedom it offers for the pro developers. Every component is fully coded and can take variations in styles and colors. Not to mention that the kit is completely responsive as well as compatible with cross-platform. 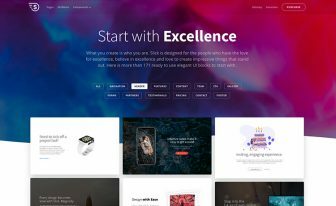 Featuring a couple of layouts, Font Awesome icons, Ionicons, and redefined Bootstrap components, this kit is one of its kind. By the same token, its basic elements like buttons, badges, progress bars, and pagination are some of the fantastic options to adapt in your web projects. We love to share the good things with our dearest readers. 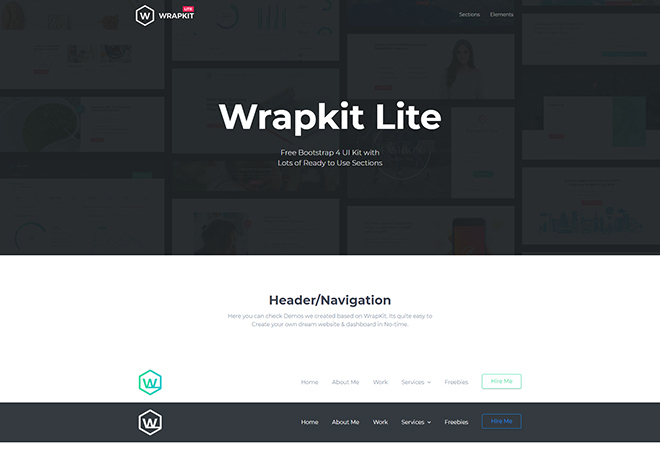 Thus Wrapkit Lite comes in the lineup of free Bootstrap 4 UI kits. No doubt, it’s one of the best products comparing all the features other free UI Kits offer. 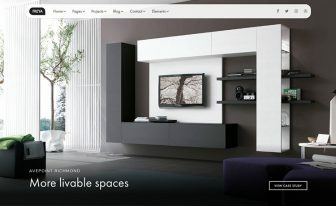 First of all, it provides a plethora of ready elements with multiple states for styling: color, size, and orientation. Bootstrap 4 and SASS makes Wrapkit Lite flexible and extendable, indeed. Other than the regular parts, some special features must mention. Particularly, the multilevel dropdown, slick animation, and functional contact form are on the top list. 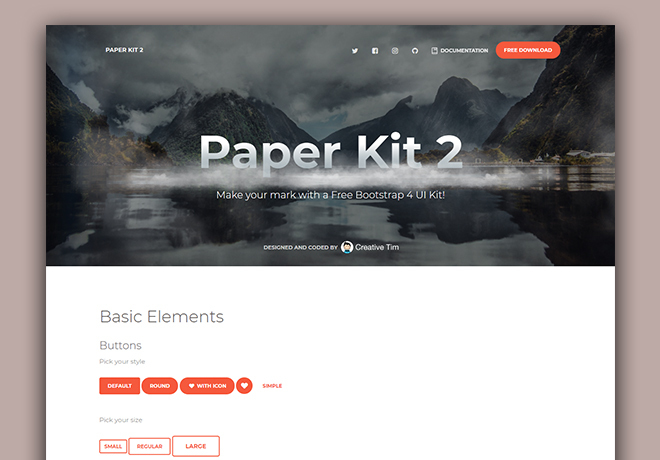 Paper Kit 2 is a resourceful, creative, and one of the best free Bootstrap 4 UI kits. Also, it incorporates clean typography, nice colors, and innovative drawings. 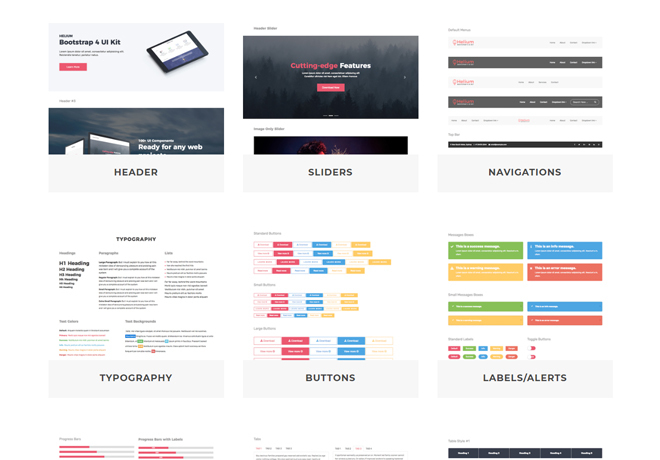 For all sorts of web projects, this UI kit offers an array of ready-to-imply components. And the responsive layout fits on different screen sizes. However, if you would like to create with Paper Kit 2 then shadows, transition, font icons, and a lot more will accompany you. On top of the most-admired Bootstrap 4, all the elements come with a re-designed shape and a unique color setting. Besides, the example pages replicate the design and power of this fantastic system. 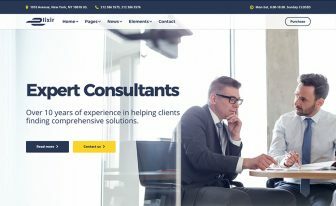 There are landing page, profile page, and register page – all of them shows how to implement the items from the kit and how would they look. Now is the time to build your most-planned website with Helium. A free UI kit with latest Bootstrap 4, including over 100 handcrafted components, and popular technologies. Furthermore, the code structure is easy to grasp for all-level users. It’s just a matter of time to accomplish any web layout. Throughout the whole files, the code blocks are organized very well. To illustrate more, the stylish elements, powerful add-ons, and lightweight structure are there to amaze you. Getting started a brand-new web project becomes fun with Helium, no matter it’s small or bigger. Just place the elements in the right position. Within minutes, you’ll get a device-friendly, clean interface for your websites. The cutting-edge technology like Sass gives you more control over your elements. User experience comes first for any web-based products and Helium makes sure of it, precisely. 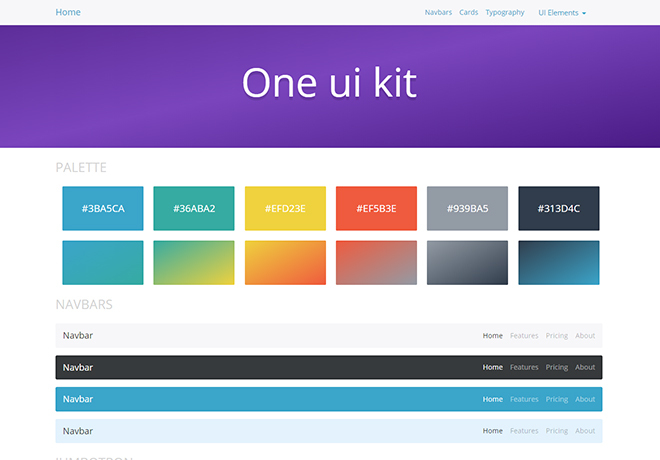 One UI Kit offers a minimal layout which is developed with Bootstrap 4 and other modern tools. It’s an open source project, meaning you can use it for any sort of project, be it personal or commercial. However, a sketch file is included if from which you can get an idea of how it’s built. Also, the Gulp is available with the project which runs the build system. Since there are SCSS files, the professional developers can customize the entire kit easily. Are you stuck and don’t get an idea of how to tweak your landing page? The solution is here. 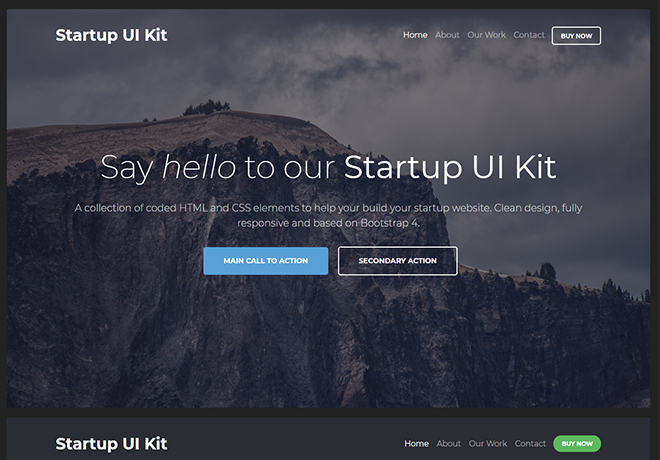 Startup UI Kit helps you build your business website, and control it from a comfortable setup. 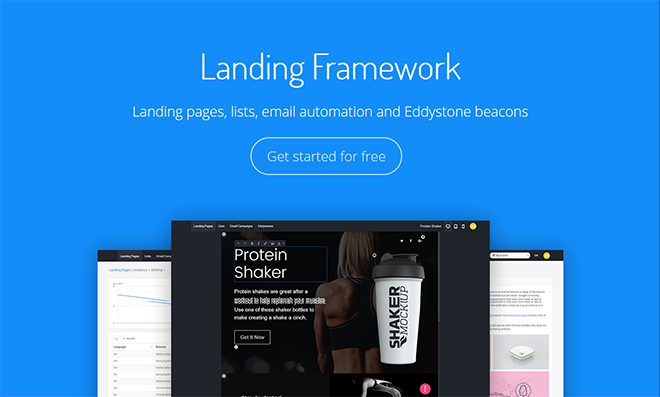 Building landing pages that convert right becomes easier due to this free Bootstrap 4 UI kit. Since you’re going to use the free version, you will find 16 UI cards. By mixing them according to your need, a unique layout is possible to achieve easily. Not to mention that Bootstrap gives an enormous power to this template that you can create new pages with a few quick steps. Before launching startup websites, people need landing pages and this free UI kit made that simpler. Also, the readymade design is a big inspiration for crafting professional layouts especially when you’re running out of ideas. In the list of amazing free Bootstrap 4 UI kits, NowSquare is a serious competitor. Like other kits enlisted on this post, it’s also made with Bootstrap 4. Other tools such as Bower, Gulp, and Sass are there for making the template as powerful as anyone needed. It’s an open source project, too. We must mention that NowSquare is easy to work with and presents prebuilt web blocks. Therefore, one has to work less while getting more benefits from it. Creative Tim has already released multiple free Bootstrap 4 UI kits and Material Kit is a notable one. Implemented a charming set of material components, it comes with an interesting look and seamless experience. They redesigned the core Bootstrap elements, following material design principles. You can quickly build a project by utilizing the benefits from it. Not less than 60 components are available to make your effort reduced and make the design more lively. And, it also includes example pages and several plugins so that you can accomplish whatever you want. Even for the tyros, this template works best since it offers simpler and faster components and settings. Download the package first and then unzip it. Apply it to the multiple projects for web-based applications. Since the free version can handle a mid-level workload, try it for a starter. Amazing responsive free bootstrap4. It’s one of the best blog for me.